In total, we have five ‘ops route’ flights, and it is here where the essence of the MPL really starts to come into play. Essentially, in these lessons our instructors take on a variety of roles; they can be a passenger or client who needs to be at a certain airfield at a certain time, coming to us an hour before the off blocks time with their request. In flight, they can again be the passenger and request for us to divert to another aerodrome due to their changing plans. However, for a lot of the flights the instructors essentially became our co-pilots to get us to start thinking and flying like multi-crew pilots. For example, on my last ops route I flew the busy approach into Ardmore (NZ’s busiest uncontrolled aerodrome) whilst my instructor re-briefed the arrival and departure procedures and handled the radio calls in the circuit. On many of the flights, our instructors also gave us emergency situations en-route and made us initiate a suitable plan of action. Take, for example, a battery discharge: how much time do we have? What can we afford to switch off? When will we lose communications? What airfields can we divert to? It’s all very relevant, and it has been designed to get us thinking and flying like pilots in a commercial environment, as well as making us aware of the pressures and possible situations that we will face whilst at airlines such as EasyJet. It is a great advantage to the MPL course, as not only are we working on building our flying skills at this early phase, but also taking into account multi-crew operation, crew resource management, flight management, commercial pressures and much more. It has definitely helped to increase my confidence in my ability as a pilot as well as my ability to deal with commercial pressures and emergencies. For the solo navigation flights we were lucky to have two hours allocated for each flight (allowing us to fly further afield) and we were encouraged to challenge ourselves further on each flight by integrating new practices; be it flying into a new control zone for a touch and go, flying controlled VFR or using challenging waypoints. For me the solo nav flights really helped to pinpoint my ‘problem areas’ and improve not only my general flying skills, but my planning and flight management skills as well as my overall knowledge of the aircraft. We also practiced some general handling exercises on the solo routes, such as the various types of stalls as well as steep turns, practice forced landings, circuit emergencies and other in-flight emergencies. It all made for a very busy flight, but as we had a lot of practice (both solo and dual) of the above exercises it was something that we were all well prepared for, so everyone on EZMP01 passed the test without a problem. For me, the day started with my instructor giving me a route to plan from Hamilton up to Great Barrier Island just one hour before we were due to be off blocks. En-route, I completed a navigation leg before being asked to divert to Pauanui beach over the Coromandel mountains which turned out to be quite tricky with a fair amount of low cloud. 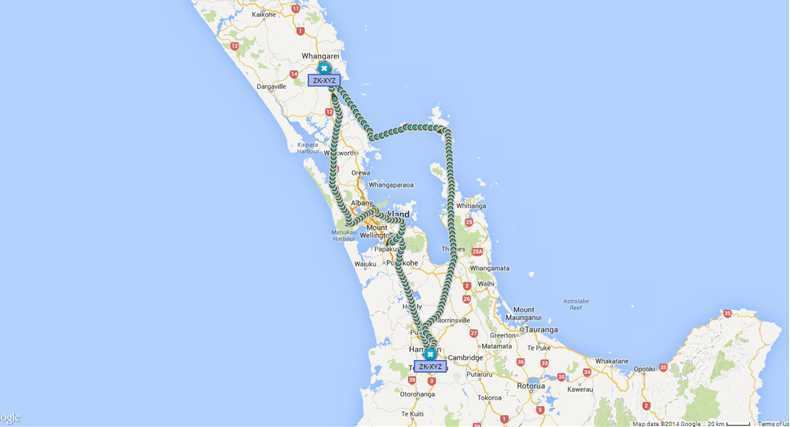 I flew an overhead join and a few circuits at Pauanui before flying a divert to Matamata and completing stalls, steep turns, a practice forced landing and a number of simulated emergencies en-route. After just over two hours, we touched down back at Hamilton and I was told that I’d passed the test! It felt amazing to have the flight completed and although I’ll miss the VFR navigation phase, I’m already enjoying the new challenges of IFR flying (instrument flight rules). We also have two night flights coming up which will give us an appreciation of aircraft operation at night, which I for one am really looking forward to. One of the flights is solely spent in the Hamilton circuit, whereas the other looks at the differences of navigation when the sun has gone! The IFR phase is quite short for our course as so much of it will be done in the A320 simulators, but we have already covered a number of critical techniques which we will take forward and use throughout our careers. We have had a number of mass briefs covering everything from how to read the Jeppesen IFR plates to flying manoeuvres such as procedural turns, holding patterns and of course the ILS. The phase consists of eight simulator flights, five Cessna flights (including our second competency assurance flight), five DA42 Twinstar flights and three upset recovery flights in the Bulldog (these last two phases are completed in Bournemouth). To date, I have completed four of the IFR simulator lessons and I’m really enjoying the challenge of getting to grips with this different style of flying. So far, we have looked at VOR and NDB holds as well as GPS routing with the Garmin G1000. Holding looks pretty complex, but once you have flown a few they are actually quite straight-forward and intuitive to fly. In the simulator we are currently focusing on briefing the plates, flying a SID (standard instrument departure) and then carrying out a procedural turn to fly back to the hold where we practice flying the different types of entries, before joining a STAR (standard terminal arrival route) to land back at the airfield. 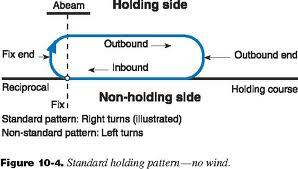 In short, there are three types of hold entries that you can fly; direct, parallel and offset, and the hold you do depends on which direction you are approaching from. Each entry has a different joining method, but each one gets you to the fix from which you begin the holding pattern which itself consists of timed legs and monitored turns, as shown below. The whole thing gets a little more complicated with wind where you have to apply single, double or triple drift for the different sections depending on factors such as the wind strength and direction relative to the hold. Practice makes perfect as they say! As we’ve been extremely busy with the training programme over the past six weeks, we haven’t had as much time off as we did when we started. Despite this, we’ve still managed to have some day trips, including one to Rotorua for a day of mountain biking which was awesome. Hamilton was also paid a visit by the Duke and Duchess of Cambridge whilst on their tour of New Zealand and Australia. The airport was a hive of activity with two New Zealand Air Force 757s arriving in quick succession and a fleet of cars, a lot media and of course lots of the general public coming to get a glimpse! Prince William stayed on site for the morning to have a look around Pacific Aerospace, an aircraft manufacturer based at the airport who produce STOL (short take off and landing) aircraft. We were even treated to a flight display by one of the aircraft which, despite it’s boxy proportions, gave a very impressive performance! CTC has also been very busy over the past few weeks, with the rebrand now in full swing and a number of new CPs starting which include Wings, Qatar and British Airways FPP cadets. The fleet is now re-painted in the brand new livery and all of the signage in the training centre and Clearways being removed and replaced. So, whats next? Currently, I have just four simulator flights and seven Cessna flights left here in New Zealand and in just three weeks time I will be back at home in the UK before starting the Bournemouth phase. It’s bound to be a busy few weeks, with the possibility of a weekend flyaway which will be fantastic if we get the chance to do it. We’ve also got a few things planned away from flying including a trip to Auckland to watch England play All Blacks at Eden Park! That’s all for now! Here are some of the amazing views I’ve been lucky enough to see over the past few weeks. I’ll upload some new pictures to my Flickr page soon, but for now I have pieced together a second ‘film’ showcasing some of our solo navigation flights. I hope you enjoy it as much as we enjoyed flying it!! An amazing view whilst doing the morning pre-flight! It’s pretty unbelievable how fast the past few weeks have gone. Next week will be the sixth week of groundschool for CP110/EZMPL01 and, with only Air Law and VFR/IFR communications left to cover, the work is piling up fast! We are no longer the newest CP either, with CP111 (including EZMPL02, the second intake of easyJet MPL cadets) already at the end of week two. 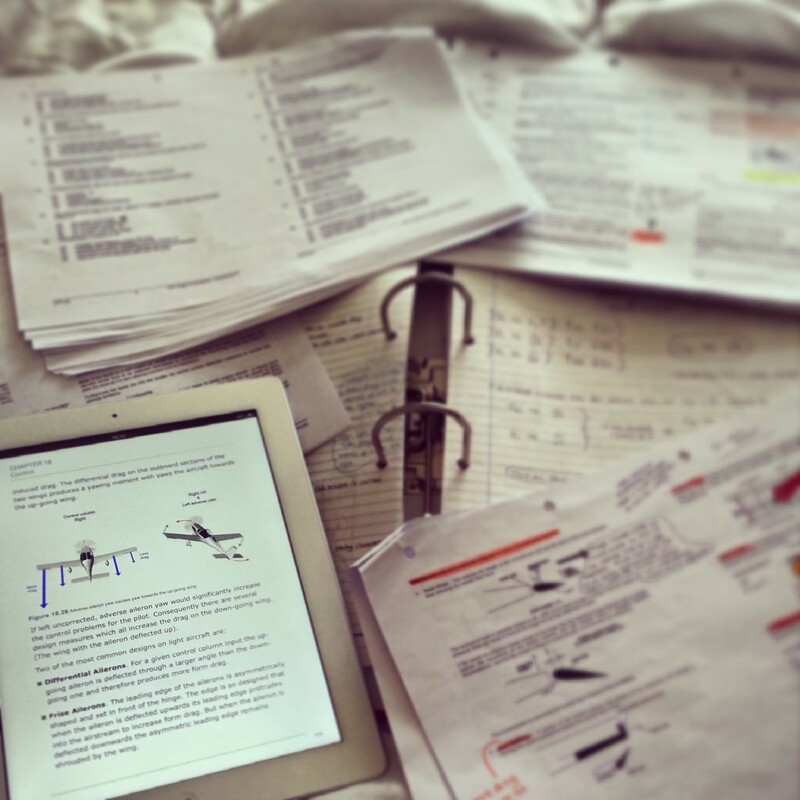 Over the past few years, I have been told about the work involved with ATPL groundschool, but it still hasn’t prepared me for the amount of work we have to get through! We have already finished Aircraft General Knowledge, Instrumentation, Principles of Flight and Meteorology which may not look like much, but there is a LOT of theory contained within those four subjects. We have four or five days worth of lessons per week, with scheduled CBT (Computer Based Training) days which allow us to review what we have been taught, read through our CBT, complete progress tests and go through questions on the online question bank. We are the first CP using a new system called PadPilot, whereby our 14 ATPL theory books are all in the format of interactive iBooks on the iPad. It’s huge leap forward from the traditional pile of printed books, and allows us to take our work with us anywhere. Out of the four subjects we have covered so far, I would say that Aircraft General Knowledge has been the one I have found the most interesting. The subject is broad, and is split up into Systems, Engines and Electrics which each cover a huge amount including hydraulic systems, fire protection, pneumatics, AC and DC electrics, gas turbines, propellers, piston engines……..I could go on! It’s nice to finally know more about how aircraft work, and just what is involved in keeping them in the air! For me, Principles of Flight has been the most challenging subject so far simply due to the number of graphs and formulas it involves. It really is hard work, and a lot of effort is required to stay on top of it all. Despite the sheer amount of theory, a lot of the subjects are really quite interesting and I’m not finding it too hard to sit down at my desk and study (unlike A-Level maths)…. 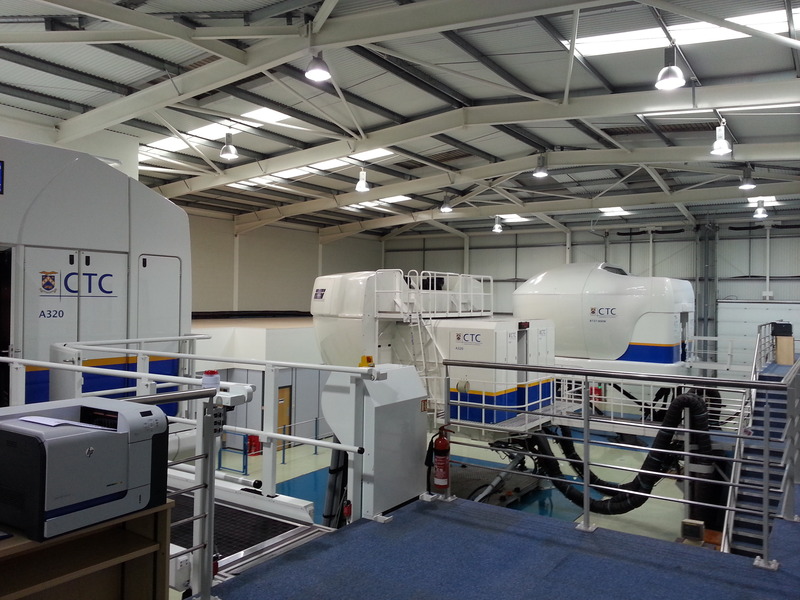 The simulators at the Nursling training centre are a great resource for those of us in the Groundschool phase, so the instructors book us in for flights in the fixed base 737 to help reinforce the theory. A few weeks ago, myself and three of my housemates had a four hour simulator session and it was a fantastic experience which not only helped to boost our motivation, but reinforced some of the theory we have been covering. I found that it helped me get to grips with the concept of stability, and allowed us to have a closer look at some of the advanced Instrumentation used on the flight deck. We each did a number of general handling exercises and did manual approaches and landings at Gatwick. We also set up and executed a CATIII fully automated landing, and had a closer look at some of the complex systems on board the 737. We were at the training centre until around 9pm, and it was a great feeling to come home after having flown a 737 into Gatwick…. 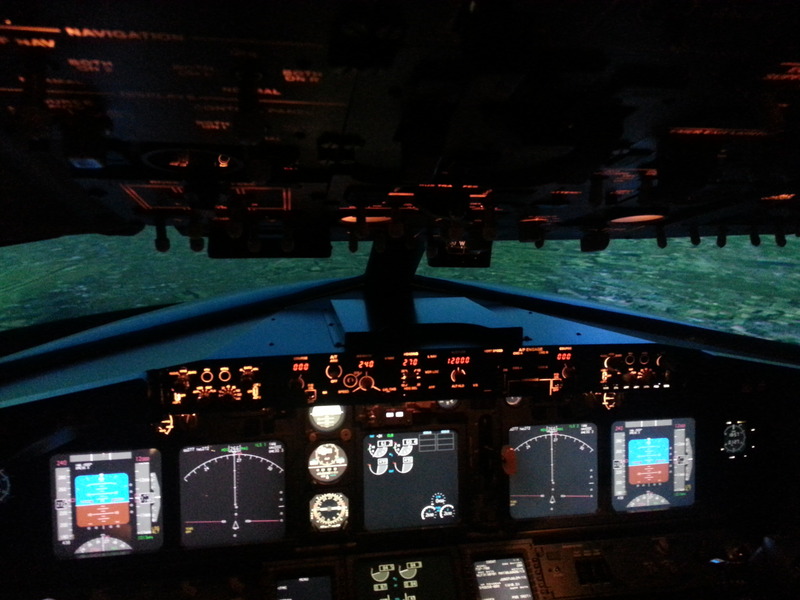 The Boeing 737-700 flight deck! Away from the 9 to 5, we have managed to fit in a few days out to help us relax and take our minds off of the theory. 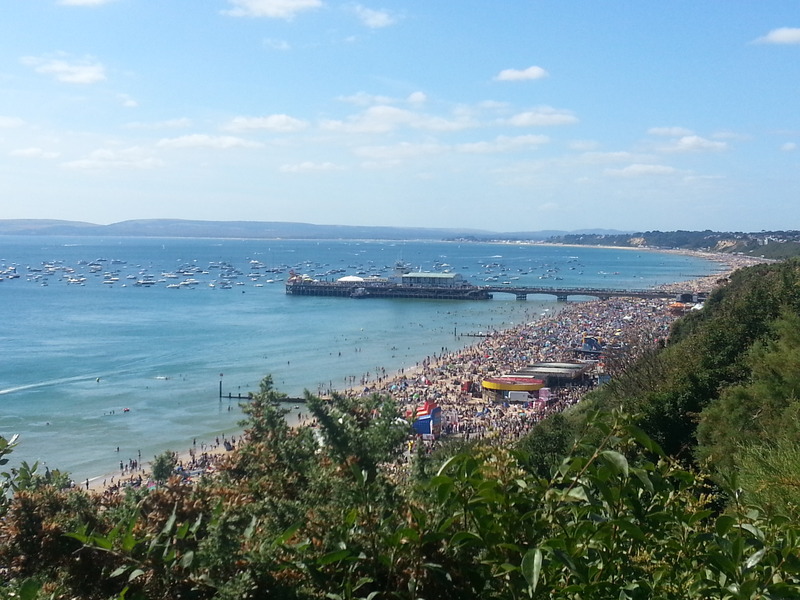 We have been Go-karting, had a couple of BBQs, the odd poker game and most recently, a day at the Bournemouth Airshow. I’ve never visited the airshow before, so I couldn’t get over the size of it and how many people were in attendance! 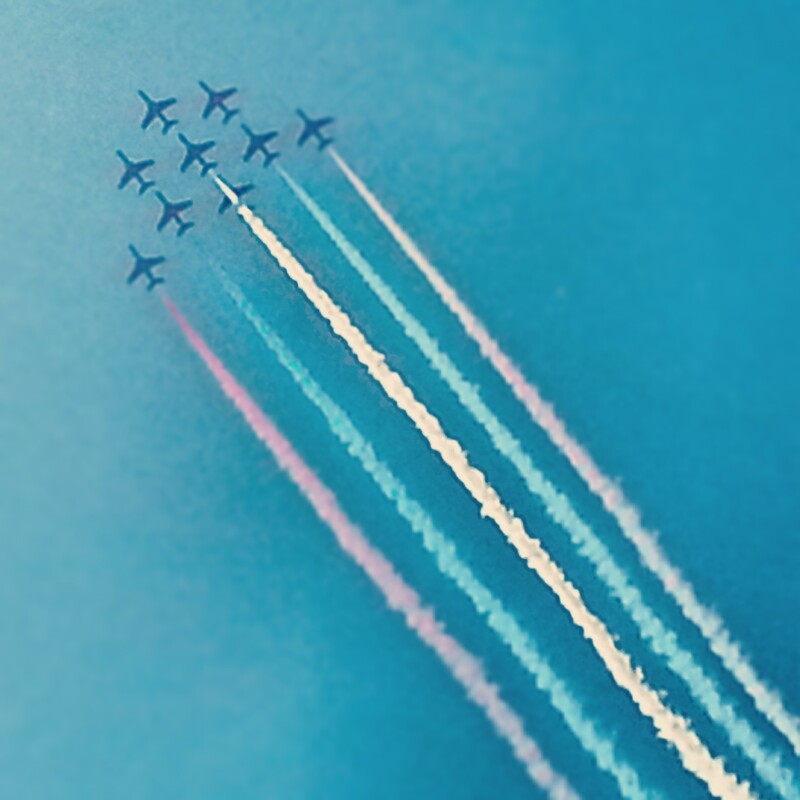 The weather was perfect, and we saw a number of displays including the Red Arrows, the Blades and the Battle of Britain Memorial Flight; another great motivation boost! So, that’s pretty much all I have to say! We have our mock exams two weeks on Monday and final exams just two weeks after that, which is a scary thought at the moment! It may be a few weeks until my next update but in the meantime, if you have any questions then you can contact me by clicking on the email icon on the left side of the screen. Back to work I go….. speak soon!